Offsetting is a way to compensate for the emissions that we simply cannot reduce and it’s easier and cheaper than you think! Your ‘Carbon Footprint’ is the amount of Carbon Dioxide (CO2) that your life’s activities are responsible for generating. For a very small cost you can help erase YOUR part of this global problem. CO2 stays in the Atmosphere for over 200 years so with today’s modern high tech and high energy lifestyle, nature is fighting a losing battle to ‘absorb it’ especially because there and less and less trees. Since CO2 is therefore accumulating in our atmosphere and emissions are increasing, the planet and oceans are heating up, making the job harder. Global Warming creates Climate Change and that's why we are experiencing more storms, floods, fires, droughts and in all the wrong places, hence ‘change’. It means glaciers melt and sea levels rise, so cities could be underwater in your lifetime. Crops fail, rivers and lakes dry up and billions of people must flee dramatic climate events. It means human life as we know it could end – its scary! For less than one tank of fuel, you can offset your vehicle’s total annual emissions or for the price of a bottle of chardonnay, you can offset an overseas family vacation abroad. The money you offset ultimately provides Climate Finance to environmental projects who directly combat Global Warming. You will receive a carbon offsetting certificate from b-neutral and be added to our Hall of Fame, then we’d like you to brag about it on social media and tell the world and perhaps we can save it together! Select the 'Quick tab' on our Carbon Widget to participate in one of the below packages. Calculate and offset the carbon footprint associated with your lifestyle or business. TRY IT NOW and see how little it costs to do your bit for the planet. Install the widget on your own website and earn commission for all carbon offsets sold through your widget. Customise your widget’s size, colour and currency. Share on social media and generate more revenue! The Carbon Widget is PayPal enabled, shareable via social media platforms and most importantly, it is certified by the United Nations Framework Convention on Climate Change (UNFCCC) and Gold Standard. I agree to my personal data being stored and used to receive the b-neutral newsletter.  I agree to recieve information and commercial offers about b-neutral. London W1U 6AG, United Kingdom. Complete the following form and one of our team members will be in touch.